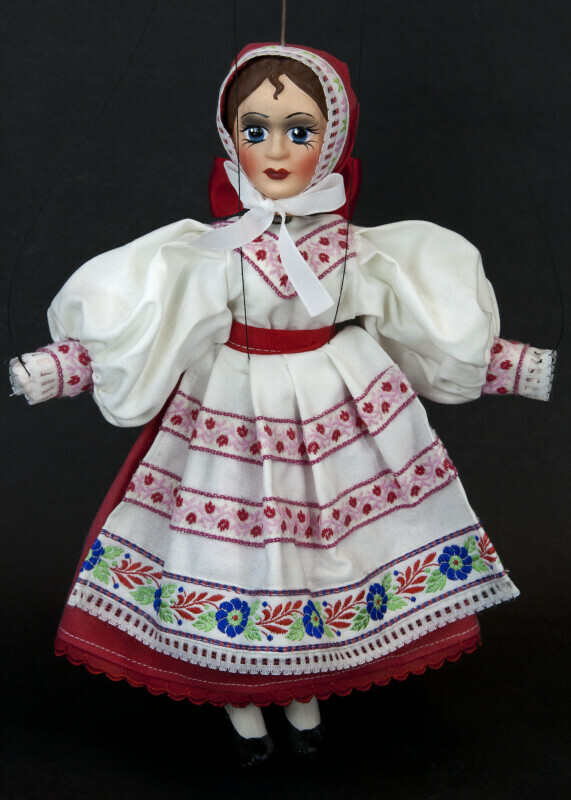 Female marionette from Prague, Czech Republic. Her head, feet, and hands are ceramic, and her body is a wood block. She has four strings connected to her body, and one wire in head. She is wearing a traditional costume for the Czech Republic with a peasant shirt and blouse with embroidered ribbon. She has an apron with embroidered trim and a hat on her head. Her facial features are hand painted. This figure stands 11 inches (28 cm) tall.